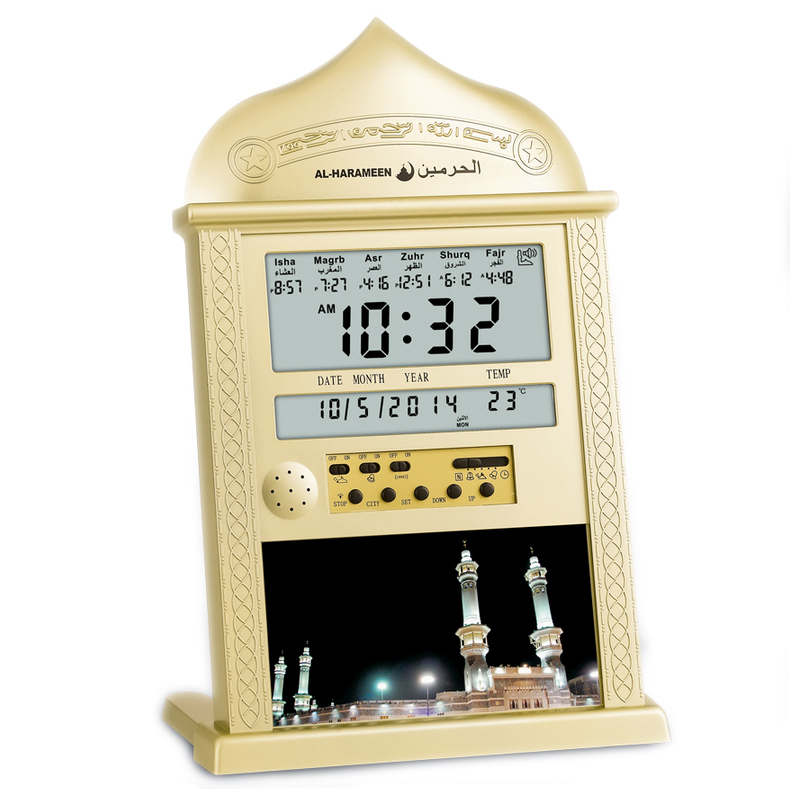 For Characterized AL-HARAMEEN O’clock with a high quality azan sound for all prayers with azan volume control fitted in all clock models. 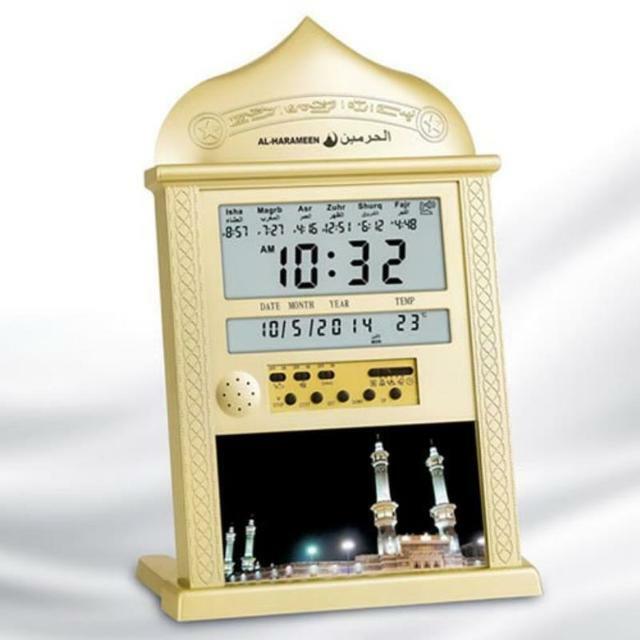 – 1:30 fixed time ,Fajr time is determined as a fixed interval of time before shrooq time. Isha time is determined as a fixed interval of time after Magrib azan. 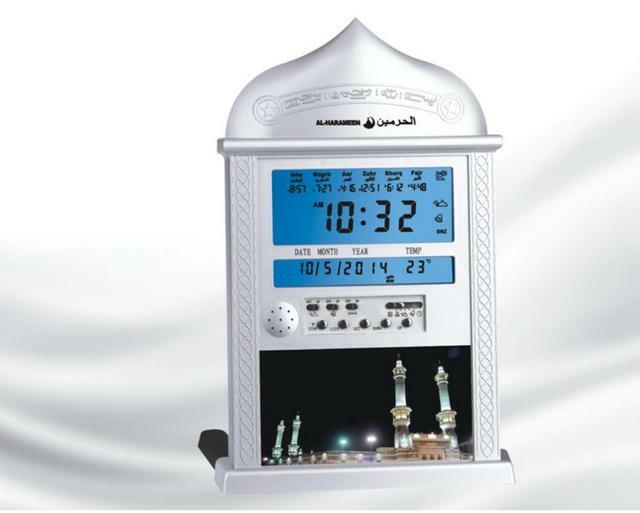 This system is used in Northern Europe. This unique feature allows you to wake up every day exactly at the same time relative to Fajr azan. 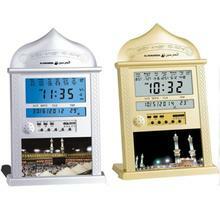 For example, suppose you set the alarm to 5:15 AM and the Fajr azan is at 5:05 AM. On the next day,if Fajr azan becomes 5:06 AM, then automatically this alarm will change to 5:16 AM.In this case, you will wake up 10 minutes after Fajr azan every day. 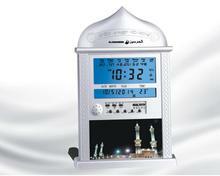 8 Crescendo sound: All alarms have gentle wake-up sound that increase gradually. 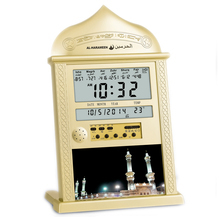 9 One Time Alarm: In addition to Fajr and daily alarms, AL-HARAMEEN clock includes an extra alarm ( called 1-Day alarm ).It can be set to ring for special appointments. We will provide adapter according to delivery country.